In the early 1950s, Charles "Lucky" Luciano was the leading smuggler of heroin into the United States. It's not hard to come across evidence of Chicago's thriving heroin business, especially amid the open-air markets on the west side. A few weeks ago I saw several cars pulled over on Augusta near Pulaski, waiting for their orders to be filled as if it were a fast-food drive-through. Police recently found thousands of needles in carefully labeled boxes—"Don't use" for the dirty ones—in a vacant home on Harrison that was decorated inside with graffiti such as "All are welcome to come suffer with us." The Chicago area leads the country in heroin overdoses. But it would be a mistake to think that these issues are entirely new. The west side has been the base of Chicago's drug trade for more than a century, and the business has continually adapted in response to legal restrictions, law-enforcement crackdowns, and changing tastes. As far back as the early 1900s, illegal drug markets developed around nightspots, pharmacies, and residences in the south-side Levee District, on North Clark Street, and in the skid row area on the Near West Side. Reformers pushed for a crackdown on users, but the police chief asked if they'd considered the repercussions, according to a paper by University of Florida historian Joseph Spillane. "Do you want us to drive them into the lake, as has been suggested?" the chief asked. "Do you want them driven to the resident districts? What do you want done with them? Isn't it better to keep them corralled in one spot with their names and histories tabulated?'" Starting in the 1920s, when Congress began passing laws to restrict the supply of heroin and other opiates, criminal smuggling organizations took over the supply chain. 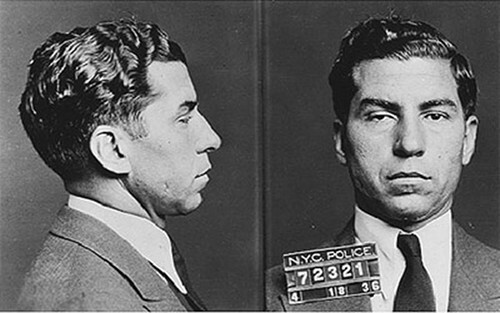 In 1951, federal officials declared that 54-year-old gangster Charles "Lucky" Luciano (now infamous all over again as a character in Boardwalk Empire) was the chief narcotics smuggler into the United States, moving heroin from Asia or the Middle East to Italy and then stateside. In Chicago the "dope" business was centered in low-rent hotels on the Near West Side and in East Garfield Park. In the 1950s and '60s whites fled the west side as African-Americans arrived from the poor, rural south. West Garfield Park, for example, went from 84 percent white to 85 percent black between 1960 and 1965. Jobs begin to disappear with the white families: the area lost 400 companies and 70,000 jobs between 1950 and 1965, according to a 1972 article in the Tribune. Even more businesses shuttered for good after rioting broke out when Martin Luther King Jr. was assassinated in 1968. As the legal economy ailed, the black market blossomed. For years after the racial transitions, most west-side wards were dominated by white politicians aligned with the Democratic machine, some with Outfit ties. Eventually, though, even the Outfit began to leave. "Organized crime decided it was unhealthy to be involved with drugs so they turned to the gangs," says UIC criminal justice professor John Hagedorn. Harry Williamson grew up in the heroin trade during some of the first years gangs began taking over retail sales. Williamson's parents died within a year of each other in the early 70s when he was just 14. Soon after, his older brothers and uncles, members of the Black Souls gang, brought him into their heroin business in East Garfield Park. "I loved the game," he says. "It started out just trying to buy clothes, give my sisters what they wanted. I wasn't able to let it go. I fell in love with the lifestyle, just having the money, the women, you can buy anything you see." The drugs weren't sold on the street in an open marketplace then. Buyers would call their dealers to arrange a purchase, then go to a designated building, exchange a code, and make the sale through a slit in the door. Williamson would man the door of his family's heroin flat for eight-hour shifts. To keep the business running, police were paid off regularly. Williamson also started using heroin himself at 14. "I caught a habit," he says, "and I used for 42 years." Gang- and drug-related violence spiked in the early 70s, and in 1974 Chicago hit its all-time high with 974 murders. In 1975 Williamson was shot and a cousin was killed by gang rivals. He and other members of his gang shot back. Williamson ended up in prison. After he was released, he was shot and nearly killed again. Still, he insists there was a stronger social code in the 70s, when the dealing was more discreet. "I learned it wasn't what you do, it's how you do it. We wanted to show the old people that the dealer wasn't bad." In the 1980s and '90s, Colombian and Mexican cartels began moving cocaine and heroin into Chicago. Fierce competition in the city pushed drug sales outdoors in areas with few legal jobs, including public housing complexes and distressed neighborhoods on the west side. Violence surged again. "The 90s were different than any other period but the 20s," says Hagedorn. "It was organized gang warfare." Williamson says he still remembers the first time he saw dealers standing on the corner. "The only thing they didn't have was a sign saying 'Drugs for sale,'" he says. "There was no wait. It was everywhere." He prefers the older, more subtle approach, because he says it was more respectful to neighbors who aren't involved in the drug trade. "It helps keep the community right." By the 2000s, many powerful gang leaders were locked up and high-rise public housing was demolished, weakening gang structure. Violence continues to drop overall but flares up among factions and cliques. The drug business is now less and less tied to the old hierarchies and associations, with members of different gangs often doing business together. "It's got nothing to do with gangs," says Parris Fultz, who's serving a federal prison sentence for dealing heroin in West Humboldt Park. "It's about survival." Williamson, now 56, has been clean for more than nine months and would like to find a job outside the drug trade. But he says he's had trouble getting a social security card because the federal government insists he's dead. "It's like they're saying, 'Go back out there and sell drugs,' because that's what I'd have to do," he says. "And I don't want to sell anymore." In The Insane Chicago Way, criminologist John Hagedorn discovers an intricate tale of violence, mafia influence, and police corruption. As police superintendent Jody Weis addresses the City Council, UIC criminal justice professor John Hagedorn argues it's time to end the city's 40-year war on gangs.